Ultimate Travel believes in Responsible Travel! Responsible travel is all about having a postive impact on the environment and the people who live in the areas you choose to travel to. It’s about minimising our footprint, immersing yourself into local cultures, being aware of traditions and local etiquette and respecting your surroundings. By travelling responsibly you will make a positive contribution to each destination, you will make the most of the experiences you have with the people you meet and you will leave with inspiring travel experiences that you’ll treasure forever! Ultimate believes in supporting the local environment, economy and people in the areas that we visit, working only with partners who support and share our core values. We support local communities by working with local guides, suppliers and operators in each of our tour destinations. Wherever possible, we prefer to work in partnership with smaller, family-run businesses, rather than large foreign-owned companies. This enables us to support tourism and the local economy in the areas we visit as well as offer our travellers authentic and unique experiences on our tours. We’re big nature lovers and only work with companies who support share and our values which includes the welfare of local wildlife. We don’t include elephant riding on any of our tours due to the inhumane treatment of these beautiful creatures. 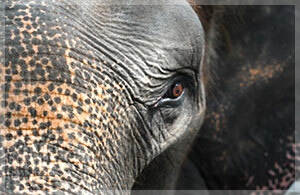 Instead we work with an elephant sanctuary in Thailand dedicated to caring for elephants previously held in captivity. Find out more. We are proud to support two fantastic charities empowering communities to be more self-sufficient. The Kiva Foundation provides interest free loans to people in remote communities who would like financial assistance for things such as education and improving their homes. 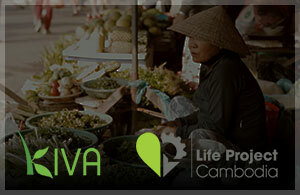 Life Project Cambodia has a simple objective – they want to give communities in Cambodia the opportunity to create their own solutions to poverty. The work they do empowers the people in these communities to make the changes they need, rather than having to rely on others to do that for them promoting self-sufficiency.